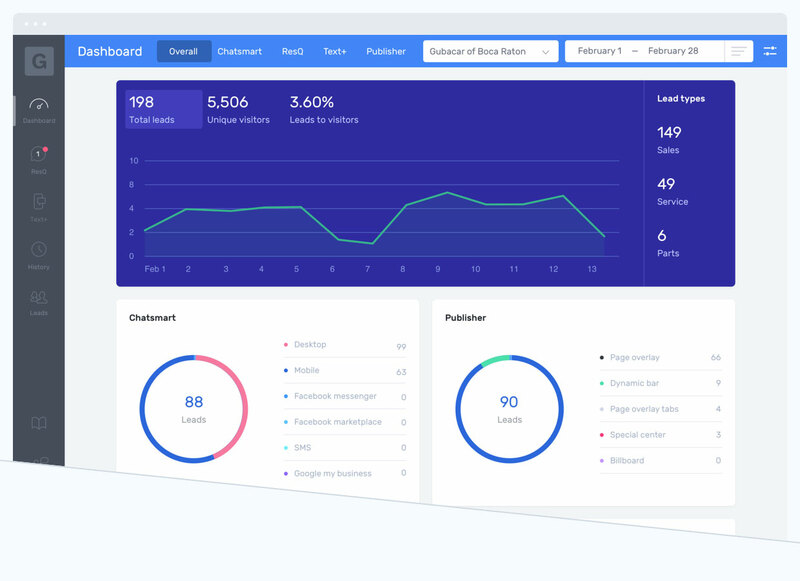 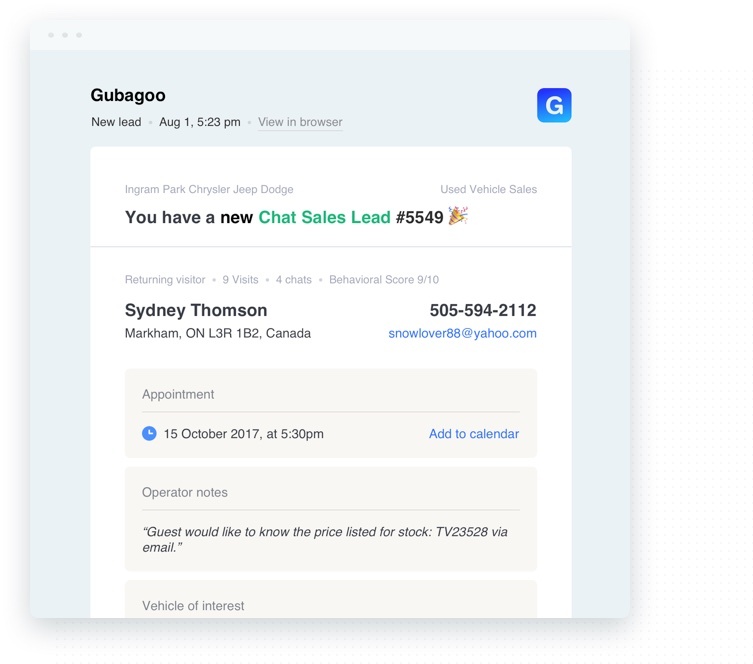 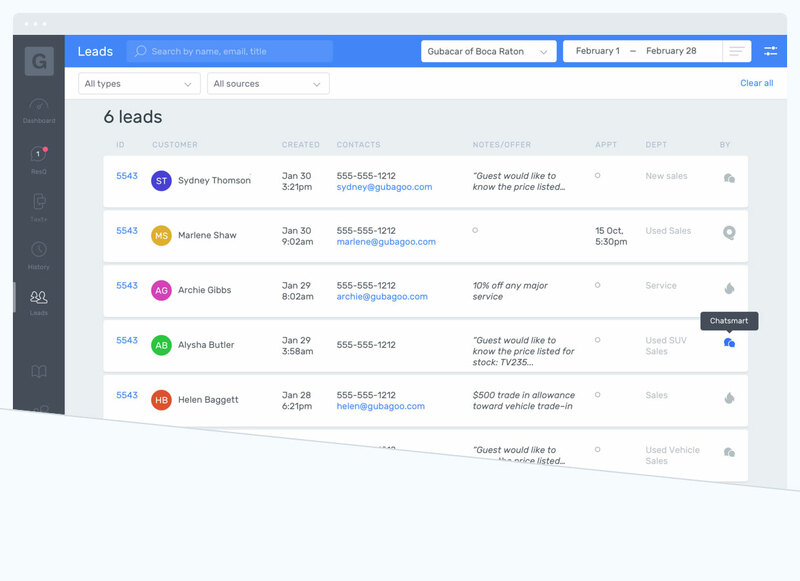 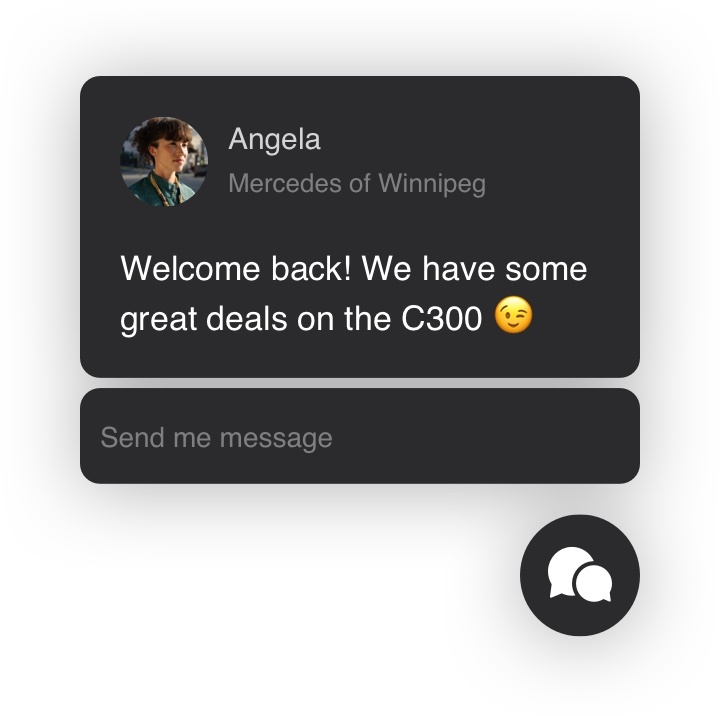 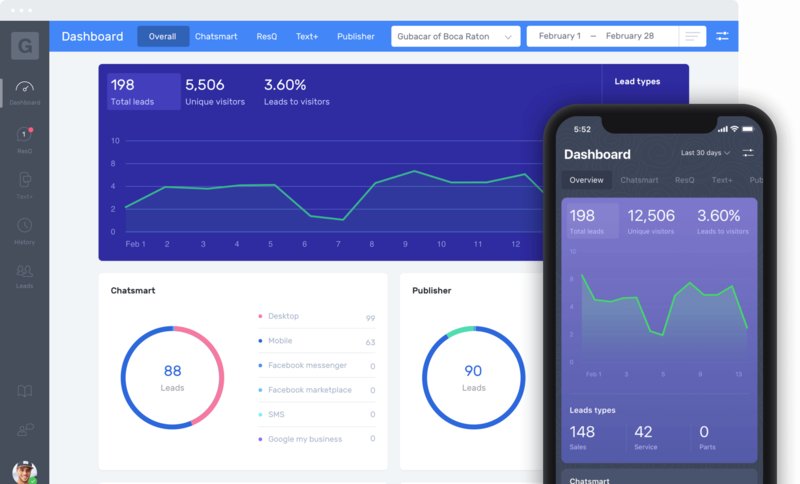 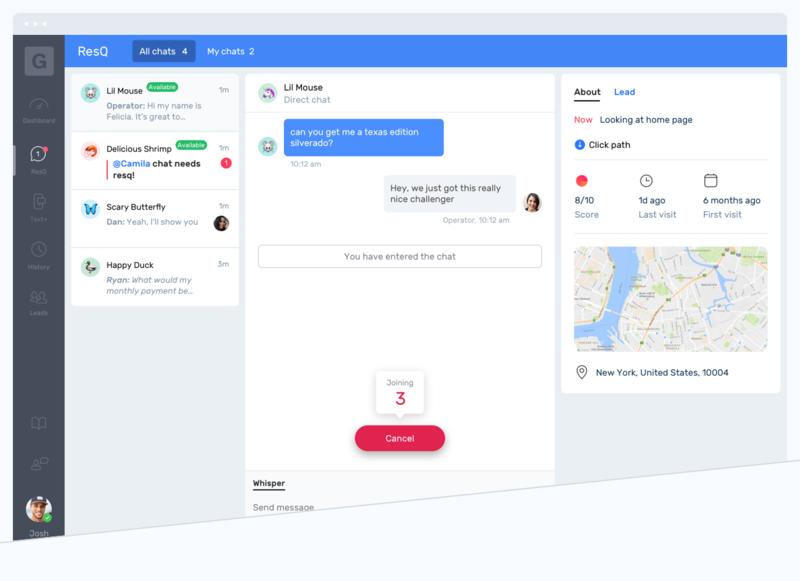 ChatSmart makes it easy for your customers to connect with your dealership, boosting online lead conversion and customer experience. 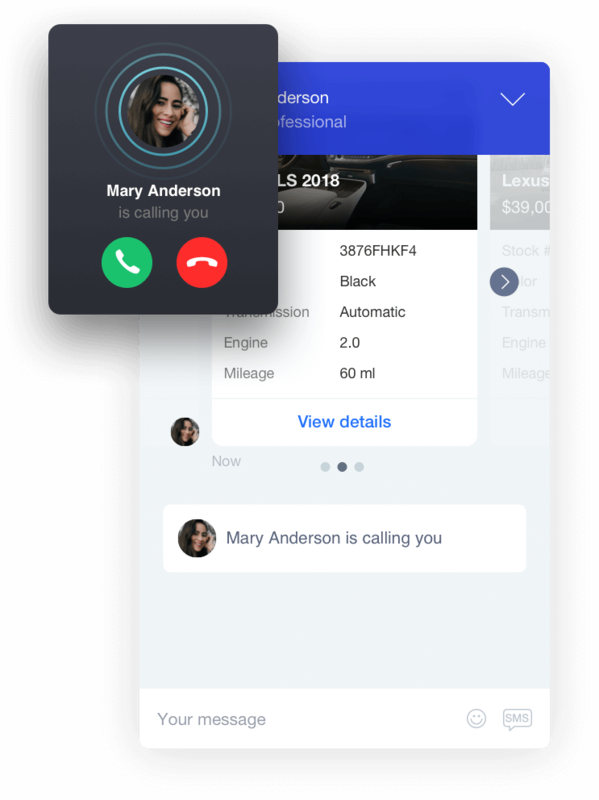 ChatSmart makes it easy for your customers to communicate with your dealership from any device through multiple channels. 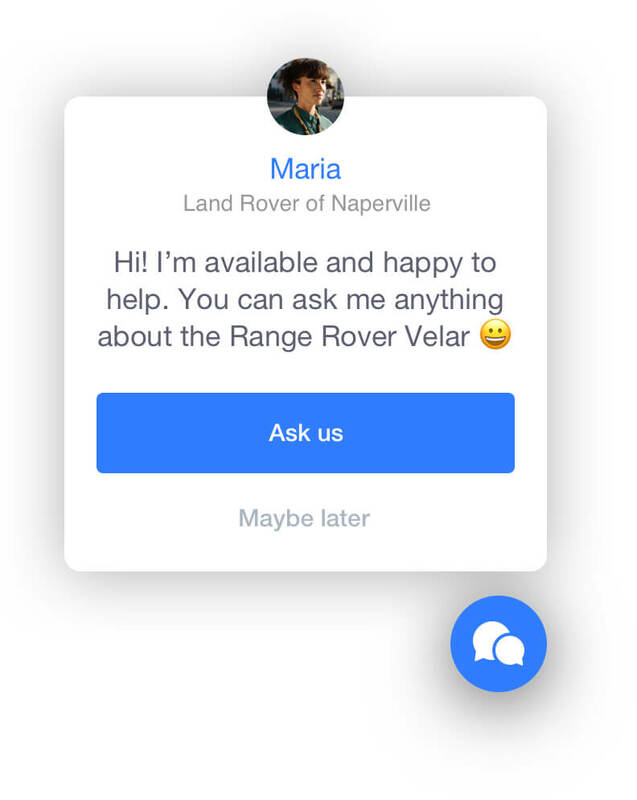 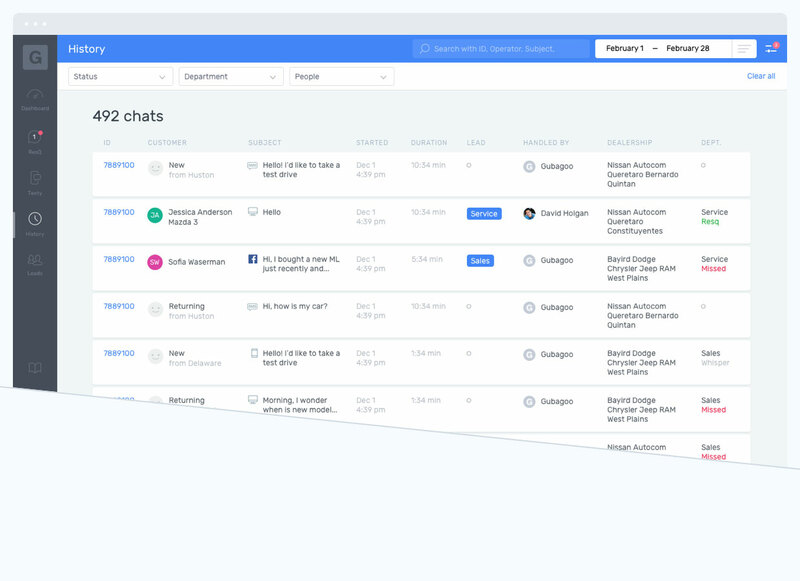 Our software and chat workflows are designed for automotive and leverage our deep domain expertise to optimize the customer experience. 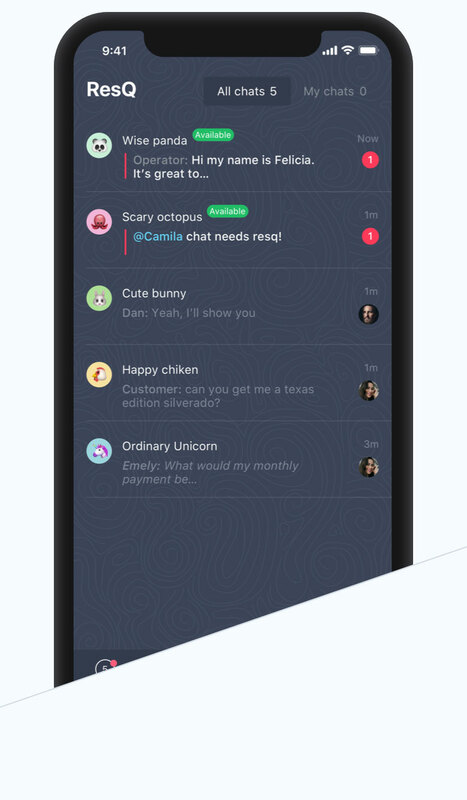 Easily move a chat to a live call and back to chat. 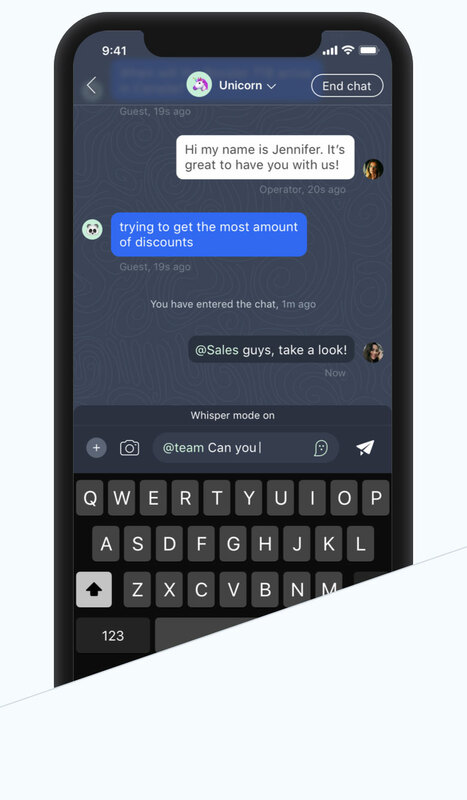 Chat response needs to be handled as efficiently as possible. 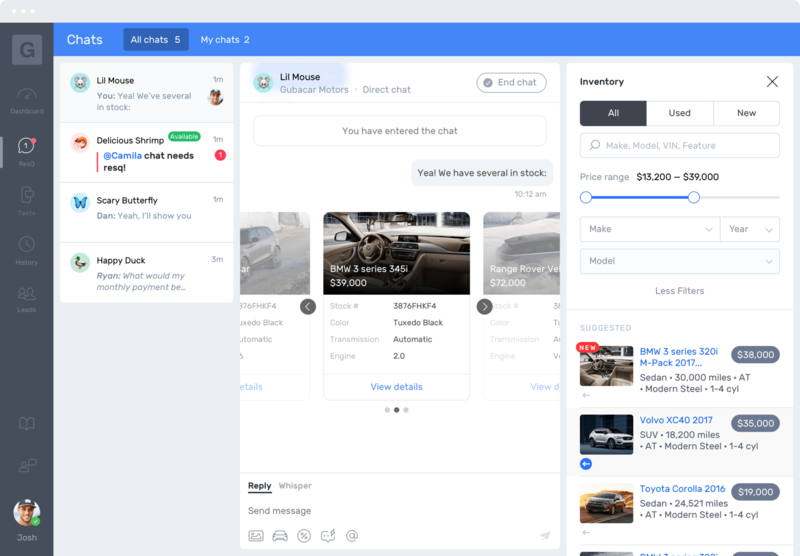 Which is why we custom built features for inventory, quick replies, mentions, trade-in, live video, and more to make it happen. 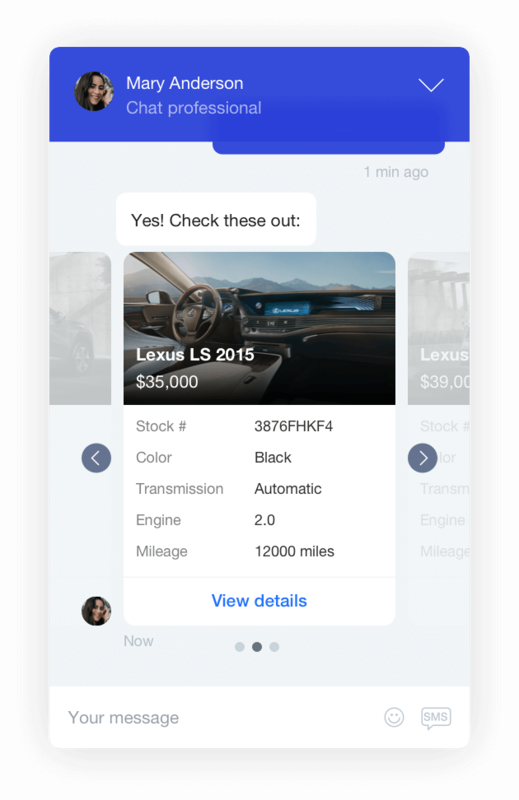 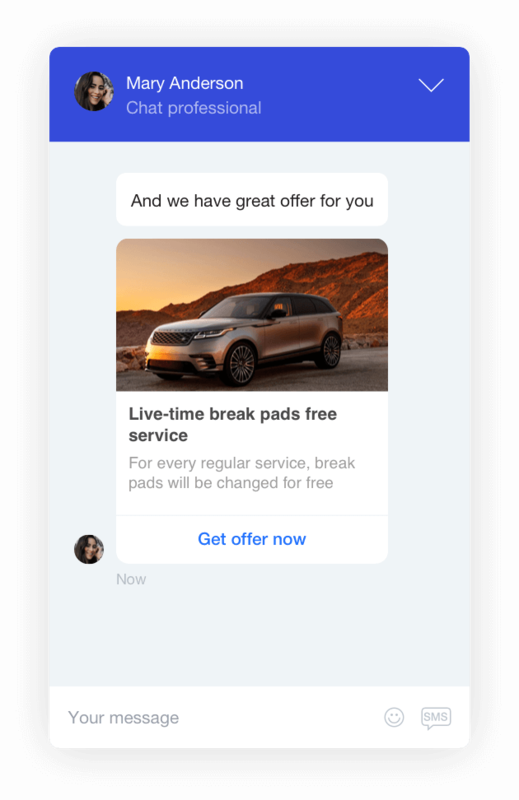 Let your customers communicate with your dealership by SMS, or easily move a chat from their desktop to SMS if they need to run. 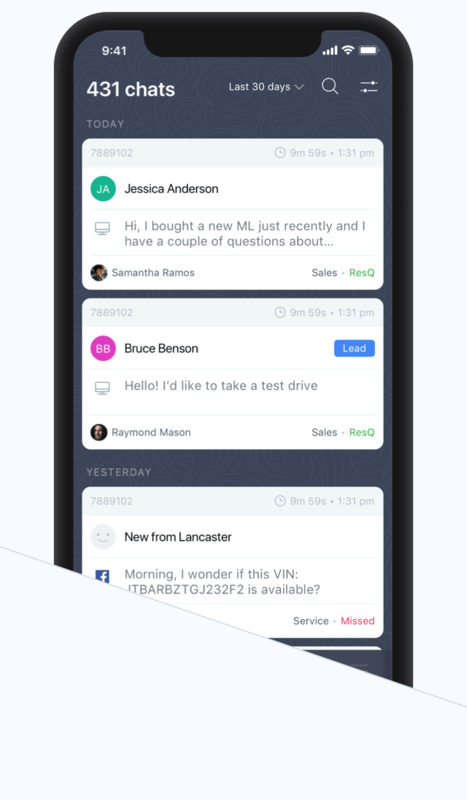 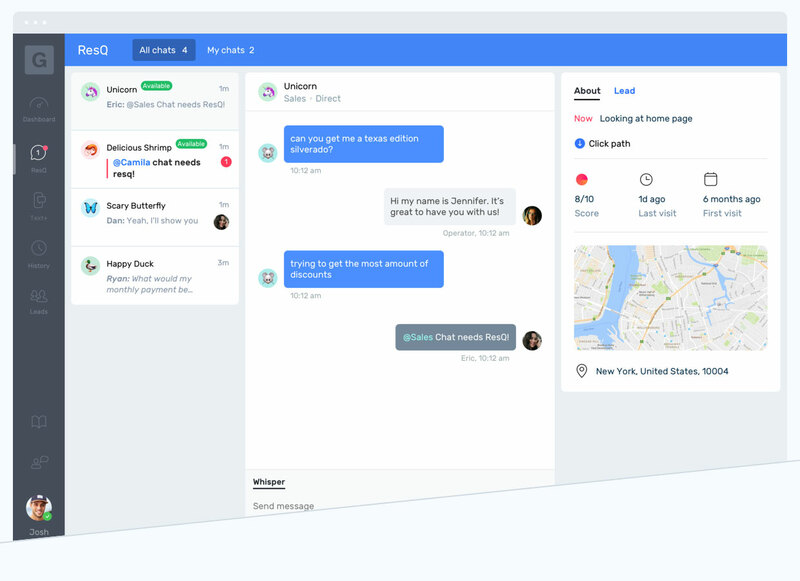 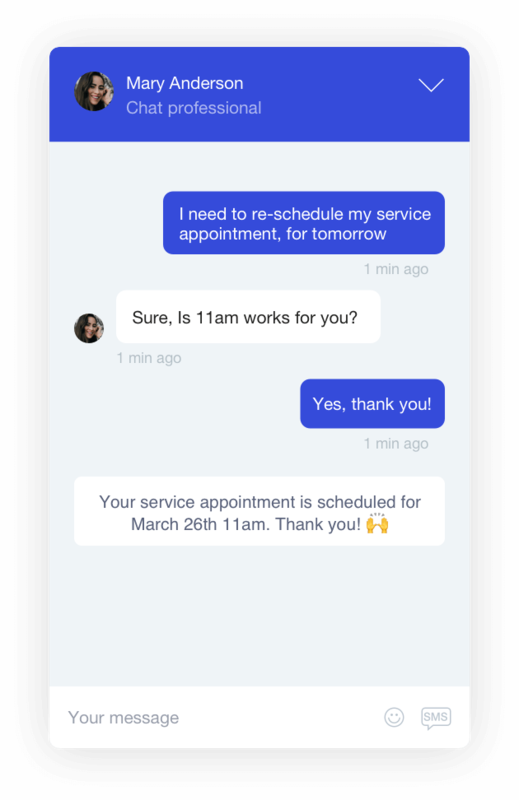 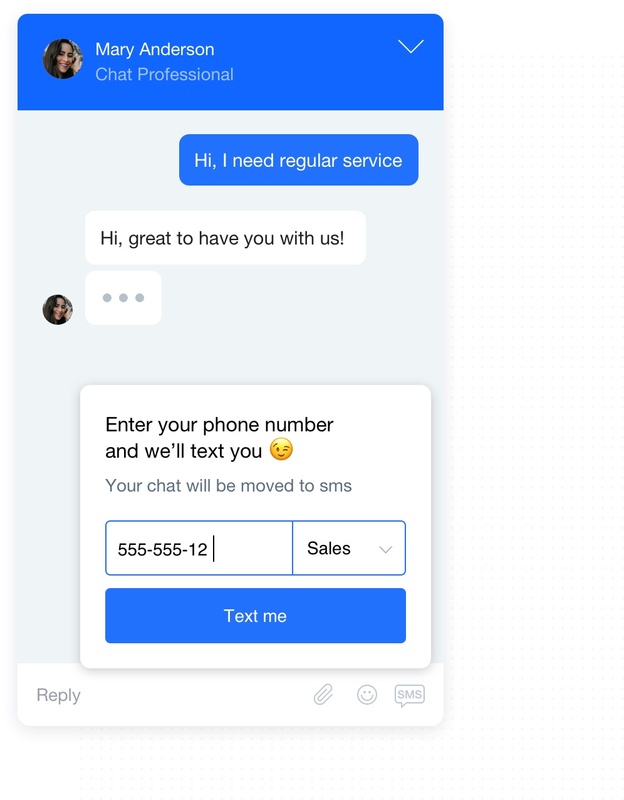 With Text+, your customers are in control of how they communicate with you. 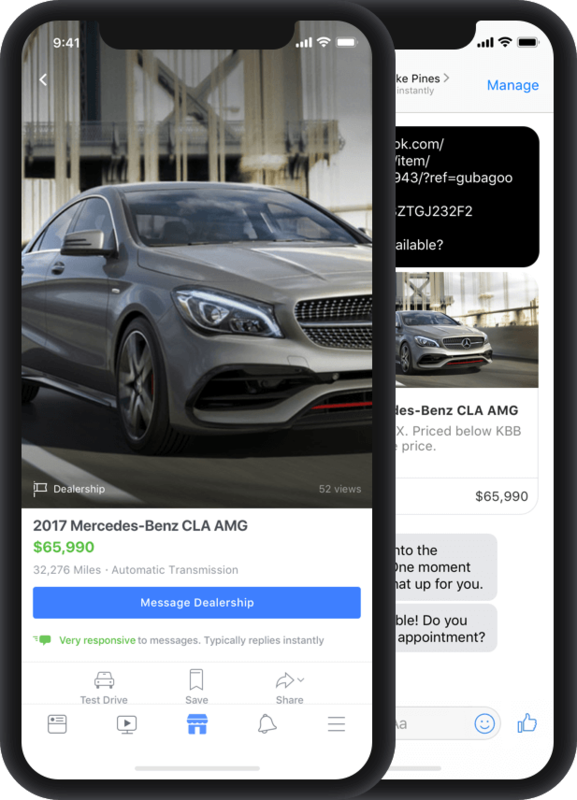 Expand your market reach by advertising and selling your pre-owned inventory on the world’s largest social media network. 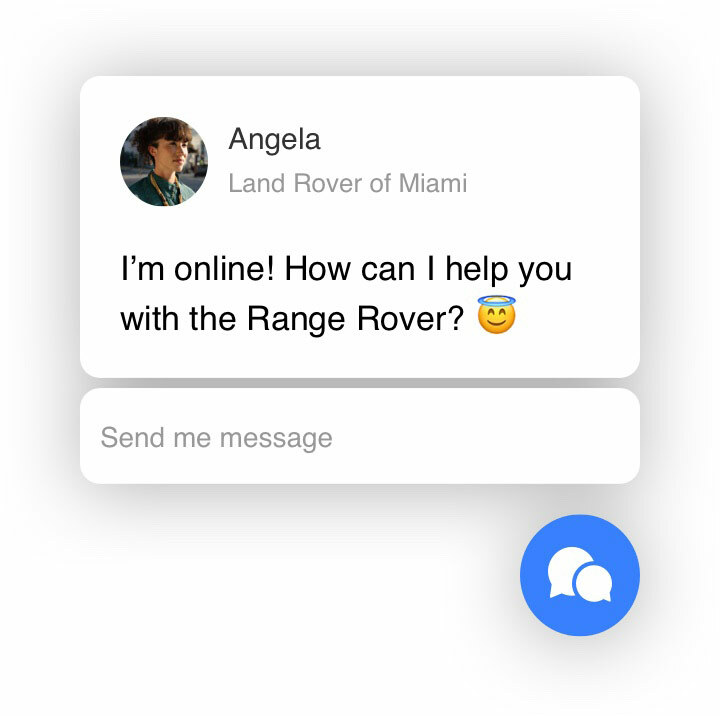 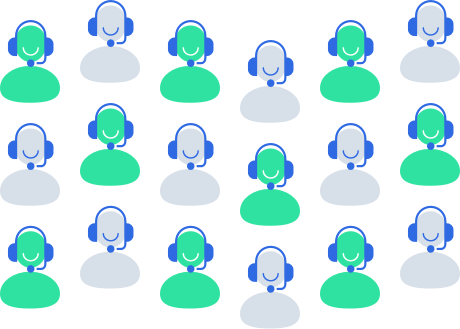 Our patented AI behavioral engagement system is at the core of our solution, making each human interaction more intelligent and targeted. 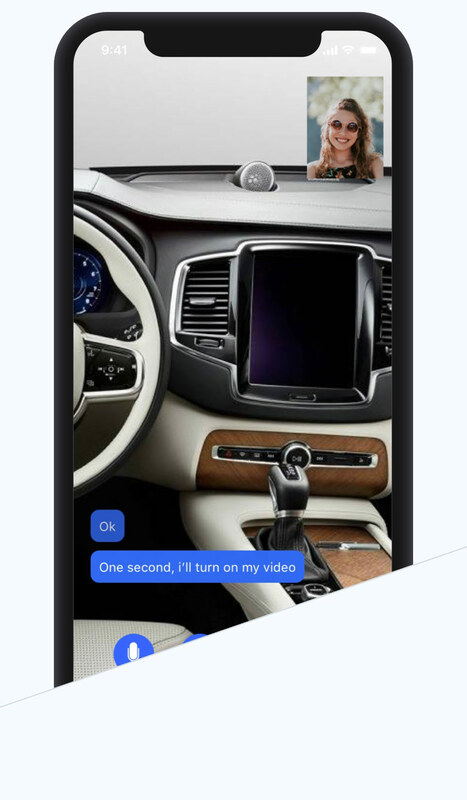 Our solutions work seamlessly across all devices. 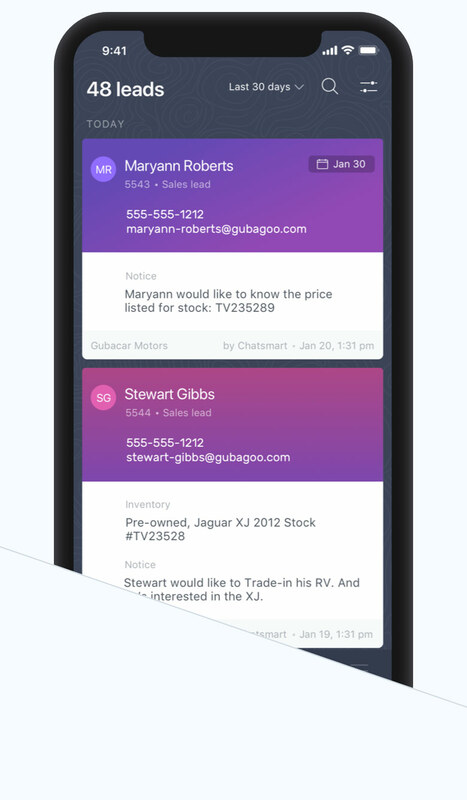 Customize your colors and configurations to match the unique look and feel of your website and brand. 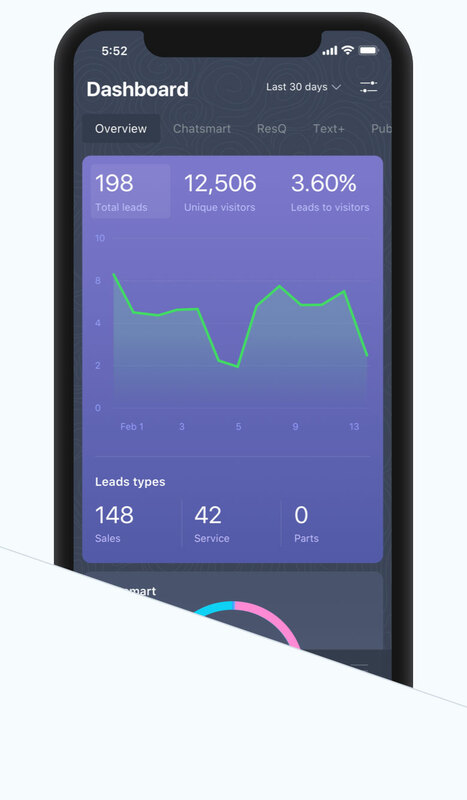 Get real-time insight into how your dealership is performing across all channels.